Shona Ferguson whose original name is Aaron Ferguson is a South African actor that is popular for his role as Dr. Leabua on the Venda soapie Muvhango. He joined the cast of Venda soapie Muvhango in April 2006 and on 5 March 2007 resigned from the show. He starred as Itumeleng Tladi, the charismatic and powerful protector of his community and heir-apparent to the chieftaincy, in the M-Net soap opera The Wild, from the year 2011-2013. 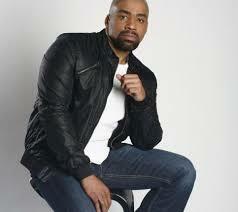 Shona Ferguson’s real date of birth has not been made public making it hard for us to know his real age. However, his wife Connie Ferguson who was born in Kimberley on the 10th of June 1970, is some few years older than him. In a February issue of Destiny Magazine, Shona remembers the smallest details about meeting his wife Connie Ferguson at her home in Johannesburg. He was dropping off mutual friends of her sister Lorato while on a visit to the city from his home in Botswana for a business course. He requested a glass of water and while he was about to leave, Connie came out of her room to say “hello”. “Hands down, it was love at first sight. She’d never admit, but. That’s how it was for me.” The couple got married traditionally two months later. Shona and Connie together have two daughters namely; Lesedi and Alicia Angel Ferguson. Their daughter Alicia is a talented composer and musician. Full details about the net worth of Shona Ferguson is unknown. We will update this page when we get more information about his net worth.